Major mobile carriers like AT&T, Sprint, T-Mobile and Verizon have banded together, spending millions to convince teens not to use their services, according to The Dallas News. The powerful It Can Wait campaign urges teens (and drivers of all ages) to wait until they get to their destination before reading, writing or sending text messages. 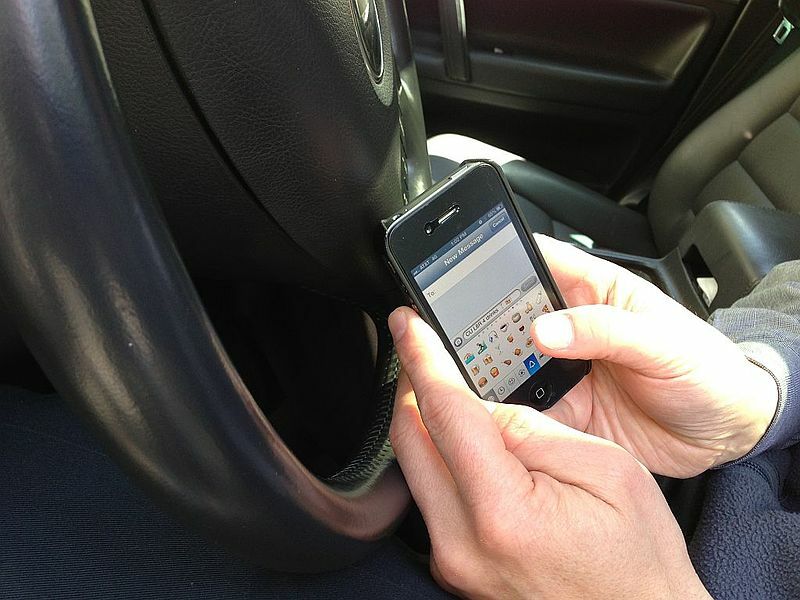 According to Distraction.gov, drivers are twice as likely to crash if they are texting while in motion. The campaign’s adverts depict gut wrenching stories in an aim to save lives. One ad tells the story of a driver who hit and killed three Amish youngsters after texting “I love you” to his wife. Another features an 8 year old who lost his legs after being hit by a texting driver. These shock-worthy tales are changing the driving culture, making it socially unacceptable to text and drive. One of the first facts to scroll across the screen in the 35-minute It Can Wait documentary: 100,000 people die each year due to texting and driving. The documentary has been viewed by more than 2.7 million people since it was first uploaded to YouTube in August. However, the first story in the film is not about someone who died as a result of texting and driving. Instead, the film details the tragic story of Xzavier, an eight year old, who has been living incapacitated since he was hit by a texting driver as a toddler. The documentary expands on the ideas in the ads, and by getting deeper into the reality victims face every day, it has an impact on teens. Part of the effectiveness of the It Can Wait is that it goes beyond simple TV adverts. By inviting teens to get involved, the movement has gained a larger, more effective reach than it would have without cross-platform engagement. Teens can upload their stories to the It Can Wait website through short videos, take the It Can Wait Pledge on Facebook or Tweet their stories using the dedicated It Can Wait hashtag. According to the National Highway Traffic Safety Administration, traffic accidents continue to be the No. 1 killer of teens, but in an effort to change this grim fact, parents have become more active in encouraging kids to wear seat belts and to never text while driving. Parents have also realized the importance of ensuring their teen drivers understand the rules of the road before they get behind a wheel and are focusing on finding free resources for practice tests and safety guides. Safety apps have also sprung up as part of the cultural response. DriveMode, an app created by AT&T, can be set before a driver starts the car. As the teen drives toward their location, the app reads their texts aloud to them. This allows teens to quench their social curiosity without becoming a danger to others. It shows that accidents are prone to teens, they just think they’re free! 😀 Kidding aside, it must with the parents supervision and all. Surely the rpoblem here is how much people are connected, and MUST answer immediately, rather than waiting. People will even ignore a person sitting with them in order to type on a phone keyboard. Can’t it wait until you get home? It is totally worth following the rules. As teens are not too serious about rules they think they can manage every thing at once and usually land up in mess.The parents or elders should take the first step in guiding them. One main thing I would like to share with all young teens that “drive safely always coz some one is waiting for you at home”.